MA Economics Past Papers - Online Tutor Pakistan, Online Tuition Karachi Pakistan, +92332-3343253 Skype id: ascc576, Online tuition Tutors Pakistan, Saudi Arabia ,Online Tutor Academy Pakistan Qatar, Kuwait, Saudi Arabia, USA, UK, Canada, Australia, Karachi Lahore Islamabad, Online Maths Physics Stats Tutor Karachi Pakistan, Online Tuition Pakistan,Online Tuition Pakistan, Online tuition in Karachi, Pakistani tutors, online tutors in Pakistan, Karachi tutoring, Online tutoring, Online math tutor Pakistan, Online Physics Tutor Pakistan, Online Teacher Pakistan, Online Chemistry Tutor Pakistan, Online Biology Tutor Pakistan, Online Economics Tutor Pakistan, Online tutor Accounts Pakistan. 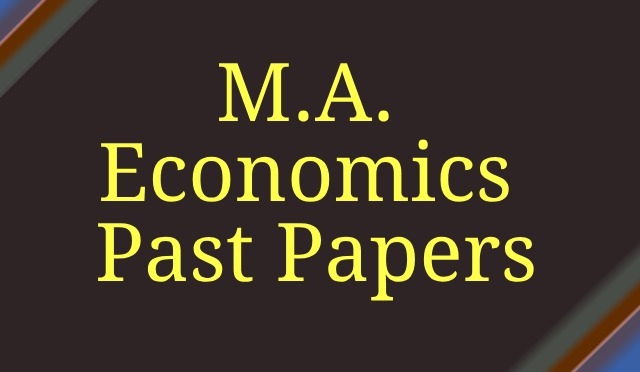 MA Economics Past Papers, Online Tutor Pakistan offers free online past papers for Math, Economics, Statistics, Business and Finance and many other subjects. Pakistan Best Online Tuition, Pakistani Online M.A. Economics Tutor, M.A. economics Online Tuition Pakistan, Micro Economics, Public Finance, Advance Economics Statistics, Macro Economics, Economics of Islam, Mathematical Economics, Economics of Planning, Agriculture Economics, National Income Analysis and Accounting, Comparative Economics. Pakistan Best Online Economics Tuition, Pakistan Online Tuition Academy, Al-Saudia Virtual Academy is Pakistan First and the Largest Online Tutor Academy. We provide Pakistan expert online tutors for USA, UK and Canada, Saudi Arabia, Kuwait, Qatar, Bahrain, Doha, Dammam, and almost each and every corner of the world. Our expert professor are well experienced, highly educated, dedicated and result oriented with experience of teaching professionally in different high valued colleges, schools and universities. They are well versed with all the curriculums of different countries, specially with the curriculums of different states of America, including Texas, Ohio, Virginia, Alabama, UK, Canada and Australia. Students can get online physics tutor help, assignment help, homework help and tutoring classes, just write down to our email: info@pakistanonlinetuition.com, add our Skype id: ascc576, or call +923323343253. Pakistan Best Online Tuition, Pakistani Online M.A. Economics Tutor, M.A. economics Online Tuition Pakistan, Micro Economics, Public Finance, Advance Economics Statistics, Macro Economics, Economics of Islam, Mathematicsal Economics, Economics of Planning, Agriculture Economics, National Income Analysis and Accounting, Comparative Economics. M.A. Economics (Previous) Past Papers – Advance Economics Statistics (III) Pakistan Best Online Tuition, Pakistani Online M.A. Economics Tutor, M.A. economics Online Tuition Pakistan, Micro Economics, Public Finance, Advance Economics Statistics, Macro Economics, Economics of Islam, Mathematical Economics, Economics of Planning, Agriculture Economics, National Income Analysis and Accounting, Comparative Economics. Pakistan Best Online Economics Tuition, Pakistan Online Tuition Academy, Al-Saudia Virtual Academy is Pakistan First and the Largest Online Tutor Academy. We provide Pakistan expert online tutors for USA, UK and Canada, Saudi Arabia, Kuwait, Qatar, Bahrain, Doha, Dammam, and almost each and every corner of the world. Our expert professor are well experienced, highly educated, dedicated and result oriented with experience of teaching professionally in different high valued colleges, schools and universities. They are well versed with all the curriculum of different countries, specially with the curriculum of different states of America, including Texas, Ohio, Virginia, Alabama, UK, Canada and Australia.